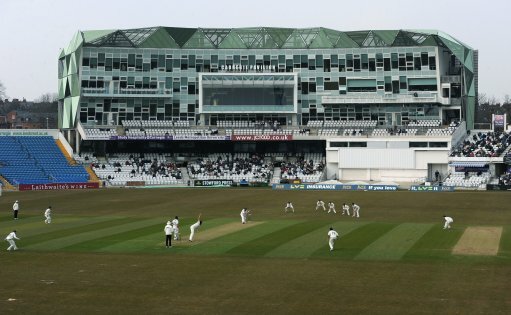 Yorkshire's mastery of English county cricket evaporated in the 1970s as other counties drafted in overseas recruits to improve their fortunes whilst the white rose county courageously stuck to its policy of only selecting Yorkshire-born players. As a consequence, having been English champions a staggering six times in the 'sixties, the Tykes slipped down the national charts to such an extent that Yorkshire CCC five times finished in the bottom half of the County Championship table. How the mighty had fallen! In an otherwise barren decade, Yorkshire did at least set a county record in 1976 by defeating Middlesex at Bradford Park Avenue by one run! Middlesex would go on to win that year's county championship. Both these counties had actually tied at this same venue in 1973! Ray Illingworth put a spell on his former team as Yorkshire donated an excessive eleven maiden overs to Leicestershire.